Casual Sriracha fans may not realize that “Sriracha” isn’t a brand—it’s just a type of sauce made from chile peppers, vinegar, garlic and a few other ingredients. But one brand of Sriracha has reached iconic status in the US: Huy Fong, with its signature green top and rooster logo. Because of this confusion, some might assume that everything labeled as being made with Sriracha is spiked with this famous brand of rooster sauce, but that has rarely been the case. Recent offerings from companies like Lay’s and Heinz have been made with their own Sriracha flavorings. However, Huy Fong has now partnered with Pop! Gourmet Foods to offer a wide range of products, including, excitingly, a powdered version of Huy Fong Sriracha than can be sprinkled on anything to Sriracha it up. 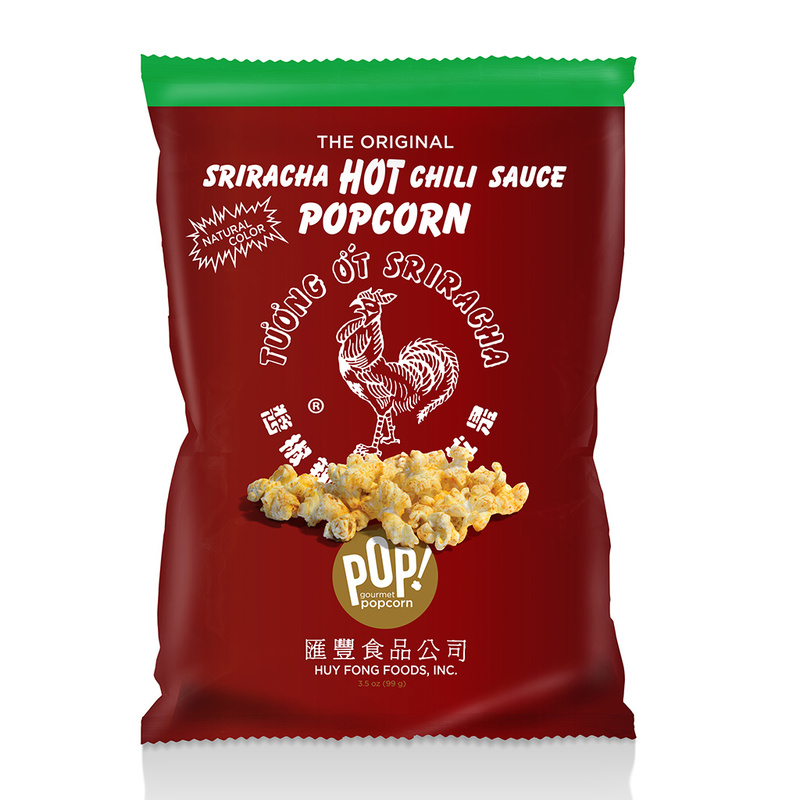 Huy Fong Sriracha popcorn is already available. And on April 8, the official potato chips will hit stores. After that, the aforementioned magical powdered Sriracha will arrive on April 20. According to Yahoo! Food, which broke the news, what makes these products special—beyond just their use of actual Huy Fong Sriracha—is that Huy Fong is directly involved in each product’s development and gets final approval before their release. Pop! Gourmet Foods founder and CEO David Israel even told the story of when they sent over the powdered Sriracha for approval. “They wrote back to me and said that [Huy Fong founder David Tran] actually took it home to use it at his house,” Israel said. That should be enough to convince anyone that the powder is the real deal. Other products to look out for are croutons, tortilla chips, ketchup, mayonnaise and hummus, though release details on those are still unknown. Pop! Gourmet promises more to come as well. You can keep an eye on their website to see what will be available where and when.